Carol J. 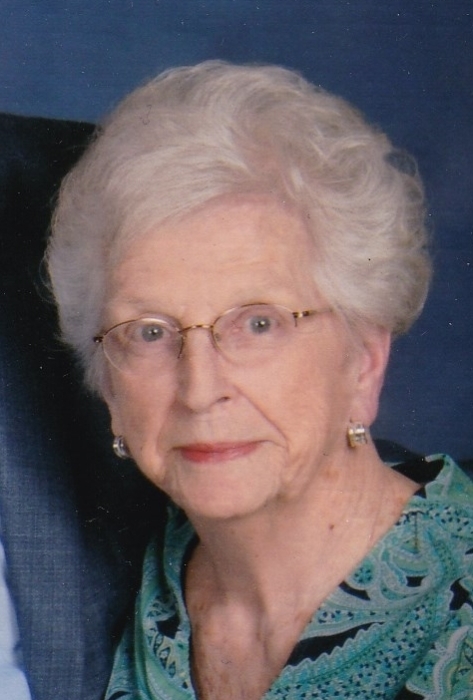 (Fuqua) Maus, 90, went to be with the Lord on Friday, November 23, 2018. Carol was born to the late Vertie and Florence (Marx) Fuqua on October 12, 1928 in Cincinnati, Ohio. During the Great Depression, the family moved to Peru. She graduated from Peru High School in 1946. Carol married her loving husband, Edwin, on January 20, 1952 and he survives. Carol was employed by Dukes Hospital. She retired in 1988 in order to travel to Alaska for the birth of her granddaughter. She loved traveling, knitting, playing cards, and spending time with family and friends. Carol was a member of Parkview United Methodist Church. Carol is survived by a daughter Julieann (David) Vandagriff, Atlanta, Georgia; a son Michael (Andrea) Maus, Peru; sister Joan (Fuqua) Holcomb, Kansas; grandson Andrew Vandagriff, Atlanta, Georgia; granddaughters Leanna Vandagriff, Atlanta, Georgia; Meredith Vaughn (Stephen), Walkerville, Maryland; Melanie Maus, Frankfort; and Great Granddaughter Lilianna Maus, and several nieces. brother Jerry Fuqua and a nephew Troy Fuqua. A celebration of Carol's life will be held at Parkview United Methodist Church on Tuesday, November 27, 2018 with visitatioin from 12:00 p.m-2:00 p.m and service at 2:00 p.m. Burial services will follow at Greenlawn Cemetary, Mexico, Indiana. Arrangements have been entrusted with Riverview Funeral Home.